From core principles to proven tricks, Getting Things Done can transform the way you work, showing you how to pick up the pace without wearing yourself down.With first-chapter allusions to martial arts, “flow,” “mind like water,” and other concepts borrowed from the East (and usually mangled), you’d almost think this self-helper from David Allen should have been called Zen and the Art of Schedule Maintenance. Great ideas in a terrible package David Allen presents an awesome organizational system in this book. With just a little up-front effort, anyone really can become much more in control of his or her life. I wouldn’t say that GDT has changed my life, but I’m definitely less stressed now that I follow the system.The only problem is, Getting Things Done is terribly painful to read. The problem stems mainly from the fact that there are about fifty pages in the book that contain real information. The other two hundred pages are–no joke–almost word-for-word rehash of those fifty pages. 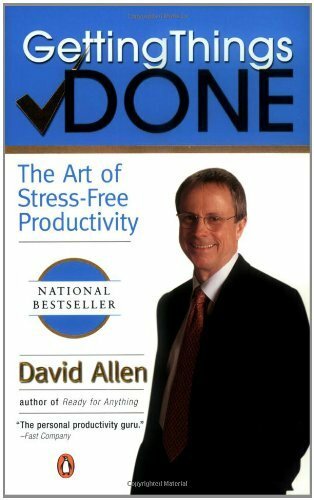 If I had a dime for every time Allen wrote, “Your brain is like a computer. If you fill up its RAM with the things you have to do, you don’t get anything done,” I seriously would have recouped my investment in this book. I didn’t appreciate that I had to search through the entire book to find just a few pages of original wisdom.If you’re interested in this system–and, again, the system really is great–I recommend you check the book out at your local library. If you later feel as though you need the book as a reference, you can always buy it. And if you do read this book, don’t feel bad if you skip most of the introduction and all of the last section (which read almost like a fifty page ad for David Allen’s consulting services) and if you skim most of the rest. I promise: You’re not missing much.